This stylish property has 2019 written all over it. Nestled among tall, shade-giving trees. the views are appreciated inside and outside. Set on nearly an acre of land,in the beautiful Sutherland neighborhood, this property has a commanding presence. 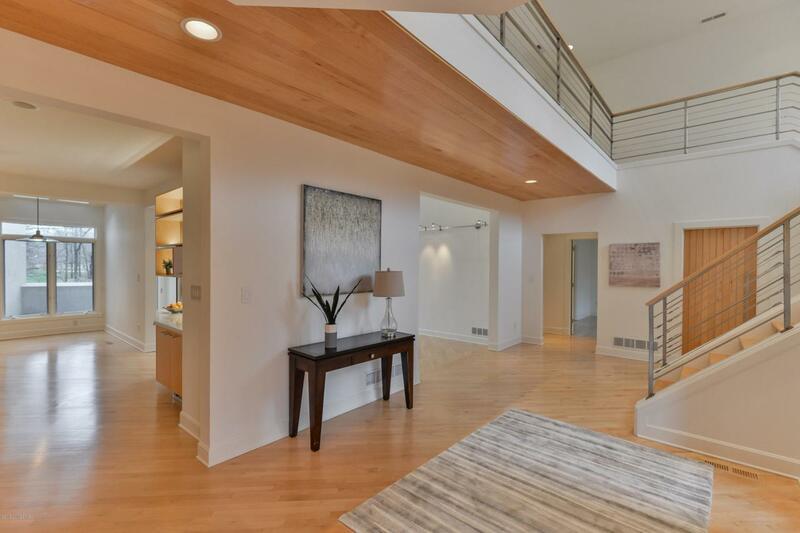 Masterfully built with the utmost of care by Carl Baker, this distinctive home has been remodeled recently; additional living space has been added. The owner spared no expense in making this home appealing to enthusiasts of both modern and classic design. Any style decor will fit in this thoughtfully constructed, open plan. Every space has a purpose; there is a logical, relaxed flow from one room to the next. High end finishes give the interior a dramatic twist. As one approaches the custom, four hundred pound door, it is soon evidentthis property is something special. 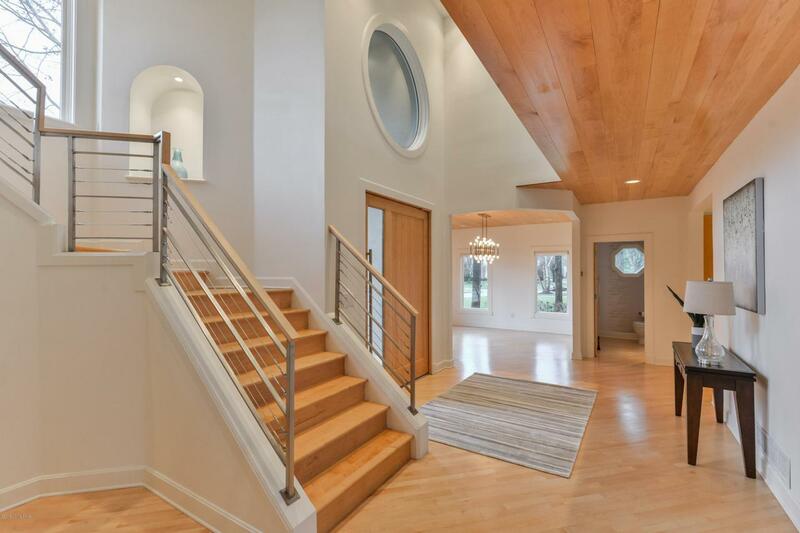 Walk into the foyer to find high ceilings and several large windows. The dining room looks out onto the beautifully landscaped lot. The open kitchen has high end appliances bearing names like Wolf and Sub-Zero. Life happens in this area. Prepare your meals with the most precise, professional-grade instruments. An adjoining family room is a place where families will gather and watch their favorite shows. Adjacent to the kitchen, is an office which is ideal for tackling evening homework. A fabulous laundry room makes the mundane task of cleaning, a pleasurable one.Taking center stage, is the large great room with an awe-inspiring two-story fireplace. The first floor also boasts a first floor master suite The bedroom, with new carpeting, is open to a sitting room/study. The master bedroom is a serene get-away where one may open the french doors to access the wrap around, private deck. Wrapped in Carrara marble, the master bath is relaxing and easy to maintain. Organize your wardrobe with the well-assembled, walk-in closet. The second floor will not disappoint. There are two staircases to reach this level. 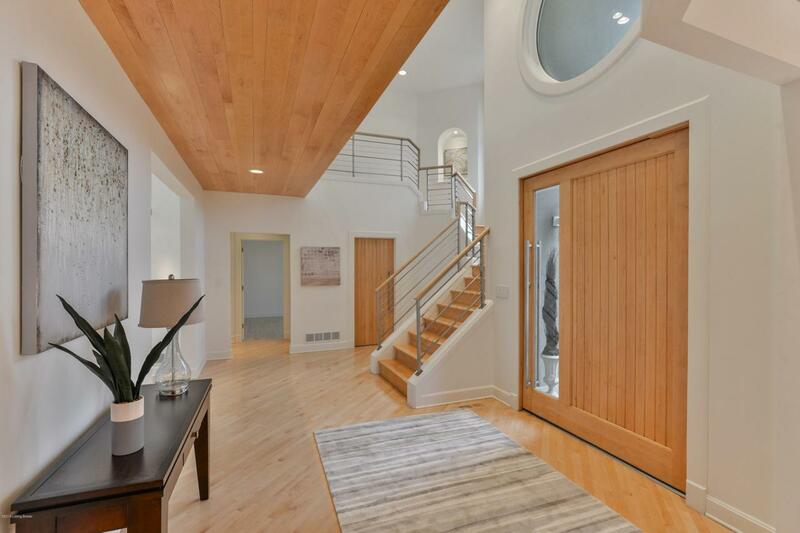 The custom-designed front staircase leads to a bedroom suite with its own bath. Two walk-in closets and a new shower make for a second master retreat. There is a wrap-around balcony beyond the private bedroom. Gaze out the tremendous windows or at the great room below and you'll feel as if you are in an amazing tree house. The natural light is captivating. Two additional bedrooms on this upper level, have a Jack and Jill Bath. Close to the bedrooms, is a recreation room with an adjoining lounge area. A private kitchenette is appointed with a sink, refrigerator/freezer drawers and a dishwasher. With a staircase leading down to the first floor and nearby garage entrance, this is an excellent set-up for a mother-in-law or nanny suite. The unfinished basement provides endless possibilities for more living space. Large windows,nine foot ceilings and a plumbed-in bath are details that will make one's finished basement a worthwhile investment. This is a grand house that feels large and open as well as cozy and intimate. You'll love coming home to this incredible space. See the attached documents showing the improvements, additions, floor plan and all the amenities the property affords.